WATERBURY, Conn. - - For only the second time in the Wilmington University men’s basketball NCAA era, the Wildcats posted 100 points, needing all of them in a 100-94 overtime road victory in a Central Atlantic Collegiate Conference contest at Post inside the Drubner Center on Saturday afternoon. The Wildcats (9-9, 6-3 CACC) evened their record to .500 on the season by shooting 47.3 percent from the floor, 10-of-23 (43.5%) from beyond the arc, and getting to the foul line 31 times, going 20-of-31 (64.5%) for the game. The Eagles (6-13, 3-7 CACC) went 14-of-53 from three-point territory and just 4-of-5 from the foul line. Post got off to a hot start in the game, taking as large as a 12-point lead midway through the half. Trailing 30-18 with 8:30 left in the half, the Wildcats outscored the Eagles, 22-15, to get to within 45-40 at the break. The start of the second half was all Wilmington, as Jermaine Head started the stanza off with a layup and Thomas Farrior added two from the foul line. Jordan Harding tied the contest, 50-50, with 16:16 showing on the clock. Danny Walsh and Harding hit back-to-back three-pointer to take a 58-55 lead before Jermaine Head and Farrior gave the Wildcats their largest lead of the afternoon, 62-55, with back-to-back layups with 13:57 left in regulation. An old-fashioned three-point play by Head put the Wildcats up 81-77 with 6:09 left, but the Eagles hung tough and eventually tied the match, 84-84, with 4:31 to play. Three Wilmington free throws allowed the Wildcats to regain the lead, but a 5-0 Eagle run pushed the home team ahead, 89-87 with 1:37 remaining. Xavier Alston beat his man and laid it home with the left hand to tie the score, 89-89, under a minute to play, but missed the and-one opportunity at the line. The Eagles missed their ensuing shot, but Jermaine Head couldn’t hit the runner with five seconds left. Post had a man down court, but he missed his rushed shot at the buzzer, sending the game to overtime. An Eagles’ three-pointer gave the home team a 92-91 lead early in the extra period, but Jordan Harding came right back with a layup. Thomas Farrior gave the Wildcats a 95-92 lead with a jumper and Alston again put the Wildcats up three with a layup, 97-94, with 58 seconds left. Jermaine Head and Alston each went 1-of-2 from the line while Post kept missing at their end of the floor. Jordan Harding put the Wildcats over the century mark with a free throw, capping the scoring,100-94. Thomas Farrior led the Wildcats with 31 points, shooting 11-of-26 from the floor and 9-of-11 from the foul line. Jermaine Head finished with a double-double, scoring 25 points while adding 10 rebounds. 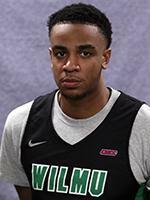 Jordan Harding (William Penn) also finished with a double-double, scoring 23 points while hitting five three-pointers and grabbing a game-high 14 rebounds. 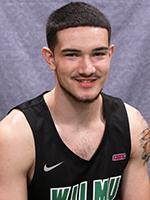 Danny Walsh (William Penn) hit three three-pointers for nine points. The Wildcats return to South Division play but remain on the road for their next contest. They head to South Division leading Jefferson on Wednesday for an 8:00 p.m. tip-off.